PERFECT LOCATION FOR YOUR NORTH GEORGIA MOUNTAIN GETAWAY! 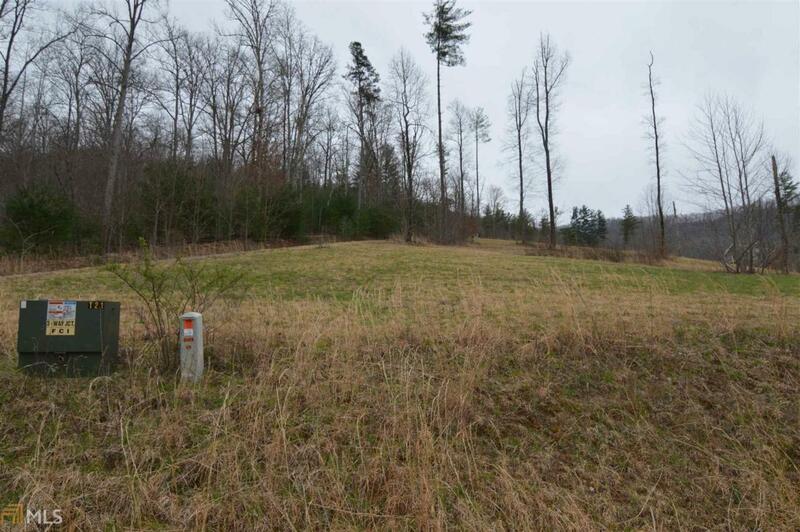 Located in great upscale mountain community this easy to build on lot offers gorgeous long range mountain views that can be seen all year long, fiber optic high speed internet available, and paved roads throughout. Underground utilities already in place. Community pavilion includes picnic tables, wood burning stone fireplace and grill for entertaining. COME BUILD YOUR PERSONALIZED MOUNTAIN RETREAT!